Sun., Nov. 21, 2010, 3:28 p.m.
Lookout Pass Ski and Recreation Area might be one of the smaller ski hills in the Northwest, but it’s a mountain of firsts. Located off Interstate 90 on the Idaho side of the Idaho-Montana line, Lookout Pass is the oldest ski hill in Idaho. Lookout Marketing Director Bill Dire Jr. said the mountain opened 75 years ago, one year before the fabled Sun Valley Resort in southern Idaho. More importantly to local skiers and snowboarders, the mountain traditionally is the first to get snow and the first to open for the season. None of the resorts had opened at press time, but in the last week of October, eight inches already had fallen at the mountain, building both a snow base and confidence that Lookout was headed toward another pre-Thanksgiving opening. La Niña is a weather pattern characterized by colder-than-normal temperatures and above-average precipitation. Not that snow quantity is an issue at Lookout; average annual snowfall is 400 inches. In addition to looking forward to a potentially strong season, Lookout Pass top brass are eager to move forward with a planned $20 million expansion at the mountain. If carried out as proposed, the plan will quadruple the skiable area at Lookout and make it as big as the other Inland Northwest ski areas. Lookout currently is going through regulatory-approval processes with the U.S. Forest Service, which leases the ski terrain to Lookout, and the first of the eight proposed new lifts might not be installed for another four years. As envisioned, though, the expansion will add 2,000 acres of ski terrain to a mountain that currently has a total of 540 acres of skiing. The mountain has 34 runs now, and the expansion would add 25 more. Lookout’s peak elevation would increase to 6,200 feet above sea level, up from its current peak of 5,800 feet on Runt Mountain. New runs would be planned on presently unskiable land on the north slopes. Long-term plans call for a second base lodge and rental shop on the Montana side of the mountains that would be accessible from the old U.S. Highway 10. Future amenities would include a tubing hill and expanded cross-country trails, as well as summer amenities such as zip lines and a mountain coaster. This past off-season, no significant changes occurred at Lookout, but Dire said the ground crews did clear some trees and brush in the glade-skiing areas, or tree-skiing areas. Lookout currently has three double-chair ski lifts and rope tow. Two of the lifts have been installed in the past seven years, increasing access to expert runs and, consequently, increasing dramatically visits to the ski area, to 60,000-plus visits in recent years compared with 22,000 visits in 2003. Dire said the expanded expert runs have perpetuated the ski hill’s reputation for good powder. 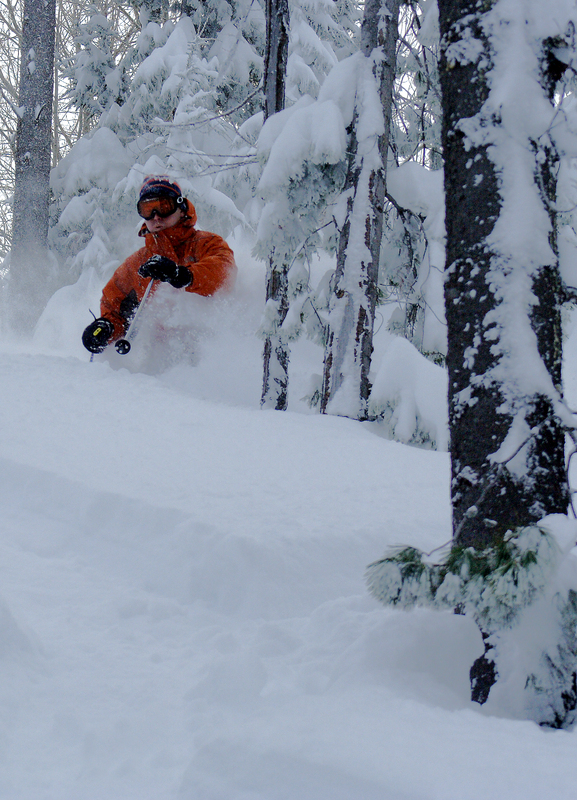 “Our legendary powder is what brings people in,” he said. While activity for advanced skiers has improved in recent years, Lookout still caters heavily to families. Beginning in January, the ski hill offers a free ski school to children ranging in age from 6 years old to 17 years old. The lessons typically are 60 to 90 minutes long, Dire said, and are held on nine consecutive Saturdays. For more information on Lookout Pass, visit www.skilookout.com. Published: Nov. 21, 2010, 3:28 p.m.